I hope you like the mix of birthday and Christmas in this cluster frame. It has been a tradition for me that Christmas never starts until after my Birthday so I had to make it a little less Christmassy. I also have a new Mega Alpha Pack in my store. 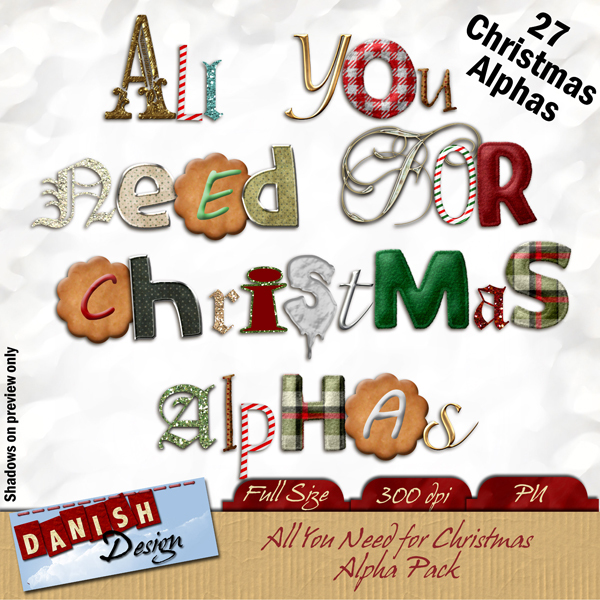 It's called "All You Need for Christmas" as you get 27 different Christmas Alphas in one pack. Go check it out - I think it's awesome. 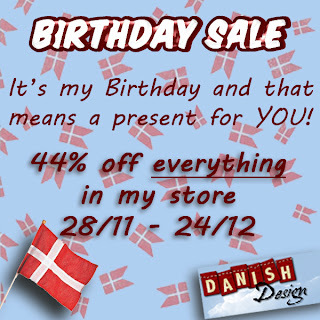 An now you get 44% off - it's a real bargain. Just wanted to wish you Happy Birthday! Many happy returns of the day! Happy Birthday!!! Hope it's a great one! Love the Frame - thank you so much! My sister's birthday is in December so it's perfect! I have a gift for you on Deviant Art. Thank you so much for this post. I want to let you know that I posted a link to your blog in CBH Digital Scrapbooking Freebies, under the Page 6 post on Nov. 28, 2011. Thanks again. Ηappy Birthday my dear friend !!!! wish you many many many happy years!!! Thanks very much for sharing this lovely cluster frame! Have a wonderful Xmas time Trine! Best wishes for you & yours!